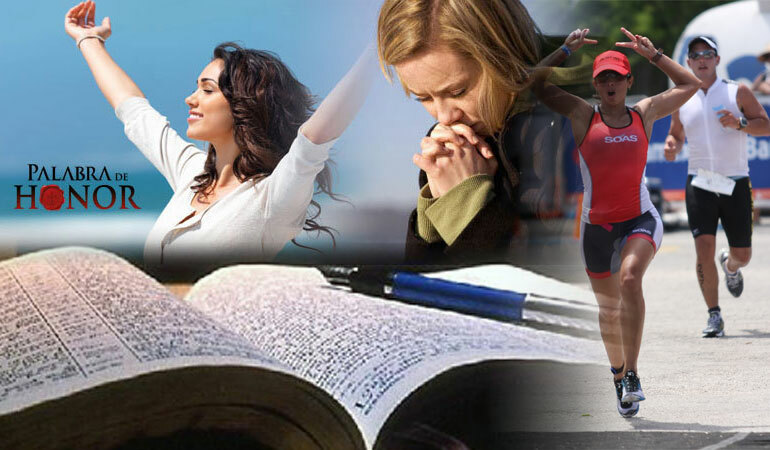 Word of Honor: How to supernaturally defeat all your problems! If you can believe in God, EVERYTHING is possible for those who believe in Him! When Sennacherib, king of Assyria, arrived with his great army to destroy Jerusalem, after a very successful military campaign where he had conquered several kingdoms, Ezekiel took strength in the Lord to listen and believe the Word of God, for which he was miraculously freed from his enemy. You may think that God supported Ezekiel because he was king of Judah or that Jesus could heal the ill or feed a crowd because He is the Son of God. Well, let me make you a few questions, is that all that is required? To be king or queen; son or daughter of God? Great! More good news! The Bible, which is God's Word and can not lie, clearly says that by the Blood of Jesus you have been made king (queen) for God and that you shall reign upon this earth. Notice that the Bible does NOT say you will be a King (Queen) when you arrive to heaven or to God's presence, but establishes that, because of what Jesus did because He loves you, YOU ALREADY ARE that King (Queen) that shall reign upon this earth. Not only you are King (Queen) and Priest (Priestess) but also, you are called Son (Daughter) of God by God Himself! And that is what you Truly are! Maybe you have already looked to prayer and it seems like nothing has happened and you find yourself like that father that came to Jesus saying, I brought my son to your disciples and they could not heal him, but if you can do something, have mercy on us and help us. What do you mean if I can? It's the other way around, it's not about if I can do something for you, it's if you can believe ME, for EVERYTHING is possible to those who believe in God! If you can believe that the Bible is God's Word and that It does not lie. If you can believe that the Bible is The Truth. If you can believe that God loves you so much that he gave His only Son before losing you. If you can believe that you have been made King (Queen) and Priest (Priestess) by the Blood of Jesus and you shall reign upon the earth. If you can believe that by His great Love He has loved you, God has named you His Son (Daughter). Then, my loved one, you can pray with the certainty that the faith of God is with you, and if God is with you, who will be against you? You can be completely sure that if God said it, then He will do it, If God spoke then He will deliver. And remember that though you walk through the valley of the shadow of death you should fear no evil for God himself is with you. Ezekiel got quick help from God and the Assyrian army was supernaturally destroyed because he believed in God by believing in His Word. This happened even though Ezekiel was only a king of Judah. What would God Almighty not do for one of His Sons (Daughters) like you, that is trusting in Him? Take heart! Believe in your Heavenly Father, by believing in His Word, for His good Will is for you and it is nice and perfect. God has not left you, nor shall He ever leave you and you will overcome every problem, anguish or dissease through Him that loved you, Jesus Christ. Heavenly father, I truly know that I can trust You. I truly know that Your Word, The Bible, is The Truth. And I know that even this certainty has been given to me by You, because of the great Love you have for me. Thank you, Lord Jesus, because when I was in the valley of the shadow of the death you took me to Your admirable Light; when I was death You gave me life and the life You bought for me with Your Blood is good, complete, and abundant. I am a Son (Daughter) of the King of kings and Lord of lords! Who can defeat me? Tribulation, anguish, persecution, hunger, bareness, danger, or sword? As it is writen in Your Word: For your sake I face death all day long I am considered as sheep to be slaughtered. No, in all these things I am more than conqueror through Him who loved me. For I am convinced that neither death nor life, neither angels nor demons, neither the present nor the future, nor any powers, neither height nor depth, nor anything else in all creation, will be able to separate us from the love of God that is in Christ Jesus our Lord. So I believe an receive healthy, free from disease life that You bought for me. I believe and receive this plentiful and abundant life full of joy and peace, where I shall have problems and afflictions but I shall be more than conqueror in all of these. There’s no way I can lose in this life, therefore I believe and declare myself healthy! Free! Prosper! Joyful! I am The King’s Son (Daughter)! Thank you Jesus Christ! Amen. How can I be a Son of God? How do I stablish a relationship with the Allmighty? Lord Jesus, I believe you are the Son of God. That you came into this world through virgen Mary to pay for all my sins, and I have been a sinner. This is why I tell you today that I accept! I accept your sacrifice in the cross! I accept your precious Blood spilled to the last drop because of Your Love to me. I open up my heart and ask you to enter because I want You to be my one and only Saviour from today on, my God, my King, my Lord. Thank you almighty God, because with this simple prayer and faith confession I have moved from death to Life, I have been moved from shadows to Your admirable Light. I have been born again! God, I am now Your Son (Daughter)! You are now my Father! I shall never be alone! I will never live defeated! In the name of Jesus Christ. Amen. Etiquetas: How to supernaturally defeat all your problems!